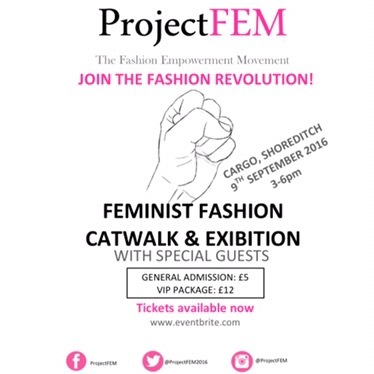 ProjectFEM’s catwalk will bring together a range of designers who are making positive social change within, and using, the world of fashion. Designers who advocate ethical, sustainable and feminist fashion will be showcasing their collections. You will also have the chance to network with designers and changemakers at our exhibition where designers will be displaying their pieces and showcasing their mission. Do not miss out, get your tickets now. “One bee cannot frighten an elephant, but a swarm of bees can kill it”. Lets unite and make the difference we need to see in the world!